It seems that Facebook could be a virtual treasure trove of material for this blog. Unfortunately, I think I would lose all hope in people generally if I trolled Facebook for errors. Not only that, I don’t want people unfriending me or not friending me at all because they are too worried about showing up here. Just so you know, I don’t do that . . . unless it’s really good. 🙂 People are judging you every day and for some people, a Facebook post or tweet may be the only impression they have of you. Take an extra minute to make sure what you’re posting is in line with how you want to appear to anyone who may see your post. 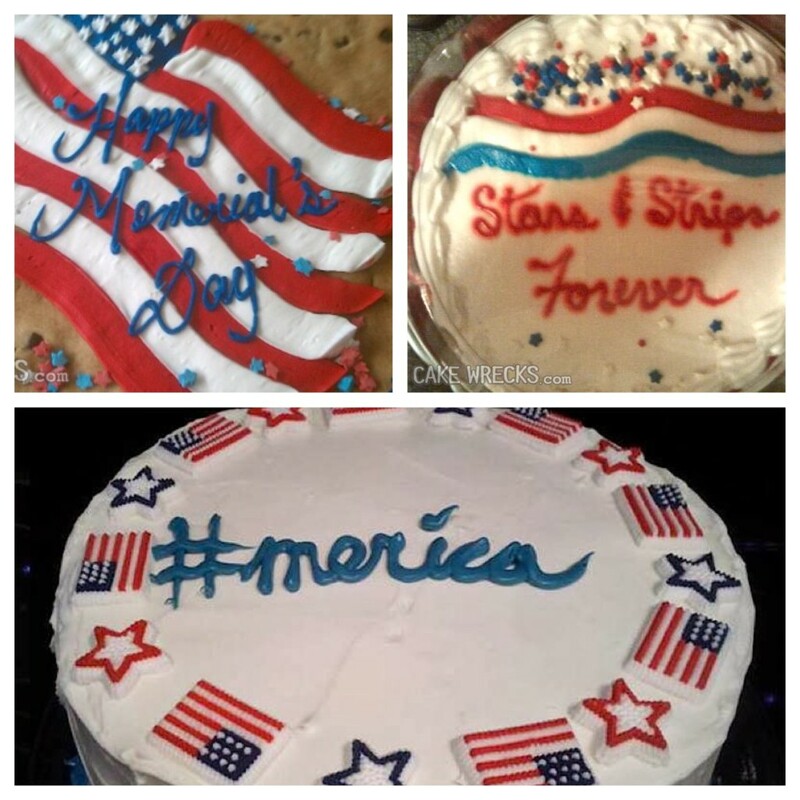 Grammar Giggle – Cake Decorators Need Skillz! First, I want to make it clear that on this Memorial Day, I am thinking of those who have served and continue to serve and those who have given all so I can enjoy my freedom. Second, I want to give credit to one of my favorite pages to follow on Facebook–Cake Wrecks. They always make me laugh and they always make me wonder what skills it takes to work in a bakery. I’m sure baking is first and foremost (as it should be), but decorating is important too. Perhaps we should develop a handbook of common phrases spelled correctly to sell to bakeries. Enjoy your Memorial Day and please pause to remember those American soldiers who gave the ultimate sacrifice. Grammar Giggle – This Shows Possession Not Pluralization! Comments Off on Grammar Giggle – This Shows Possession Not Pluralization! This is on the window of a restaurant next to my office building. As used here, this leads me to believe that either the gyro owns the sandwich and the platter, the owner’s name is Gyro, or it is the name of the business. All of those choices are incorrect (because I have eaten there and know it is your typical gyro) or I wouldn’t feel the need to pull out my phone as I was walking by. 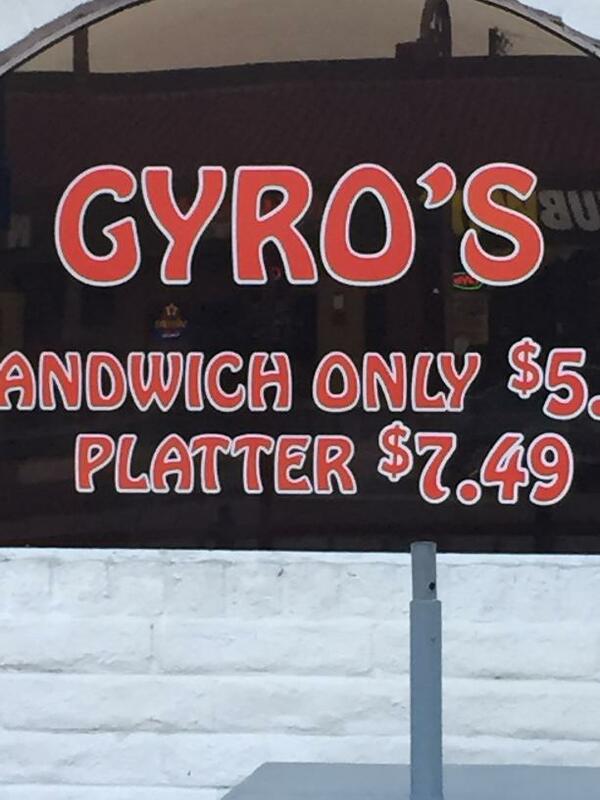 There should be no apostrophe at all so that you know they are selling more than one gyro (or it would be a VERY short lunch rush). If you missed my article about apostrophes, check it out here and then quit using them to make words plural . . . please! 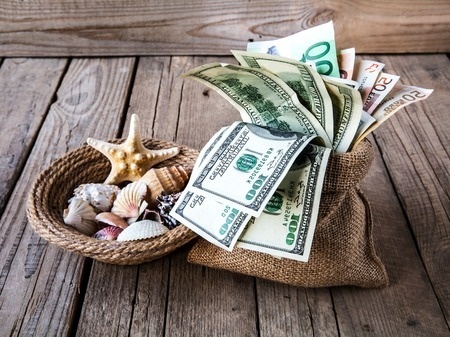 In this blog post title, I’m singing the song lyric of “For the Love of Money” by the O’Jays (and yes, I know my age is showing). I came across something in proofreading at work today that I thought I should cover. The phrase was “$1 million dollars.” My thought was that since the dollar sign is there and means “dollars,” the word “dollars” is superfluous. So I decided to research the Gregg Reference Manual rules on money. The first choice with money is to use the dollar sign and numbers. You can spell the money reference out when it is isolated and you don’t want to emphasize it. Indefinite amounts of money should be spelled out. When your sentence contains a whole dollar amount, you do not need to add a period and two zeros UNLESS it is in the same context as an amount with dollars and cents or you need to give special emphasis to an exact amount. 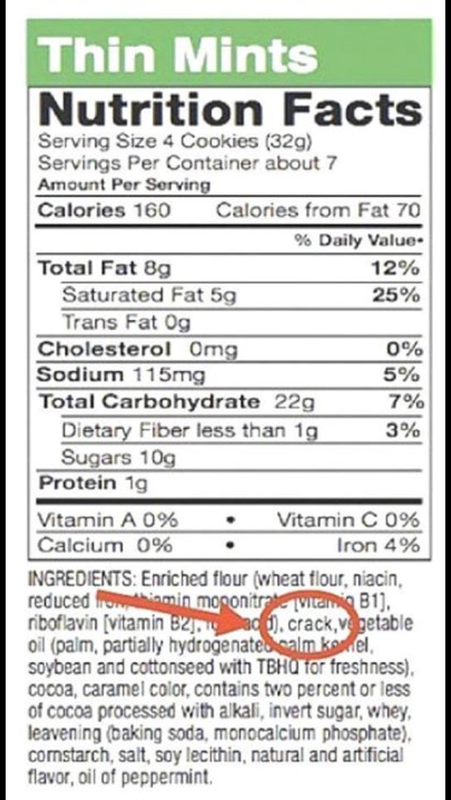 INCORRECT: The bread sold for $3, but the butter was $4.25. CORRECT: The bread sold for $3.00, but the butter was $4.25. I will give you $40.00 for dinner and not a penny more. If you have numbers in a column, all of the numbers should have the decimal and two zeros so the numbers line up and look consistent. When you have very large amounts of money, it is appropriate to use numbers and words, but use EITHER the dollar sign OR the word “dollars,” not both. Fractional amounts of money should either be spelled out or all numbers, but not an actual fraction. She paid 49 cents for that shake. Today I spent $3.50 for pens, $14.00 for paper, and $.35 for sticky notes. I found a deal on sticky notes and paid only 35 cents per pack. Where you use the dollar sign or cents sign for a range of numbers, use the symbol with each amount. INCORRECT: My budget for a car was $15,000 to 20,000. CORRECT: My budget for a car was $15,000 to $20,000. Also, to be clear, if you are using words for the dollar amount, use it after each number. INCORRECT: The income was expected to be between $3 and $5 million. This could be read to be between three dollars and five million dollars and that’s quite a spread. CORRECT: The income was expected to be between $3 million and $5 million. However, where you are spelling out the numbers, you can add the dollar amount after the last number. The income was expected to be between three and five million dollars. In legal documents such as contracts and agreements where it needs to be crystal clear, you should spell out the dollar amount and then put the numbers in parentheses right after. The sales price is Three Hundred Forty-five Thousand Dollars ($345,000.00). NOTE: The word “and” does not appear between “Hundred” and “Forty-five.” Even though you may verbally say it that way, it is correct to leave it out, although you can add it if you choose. 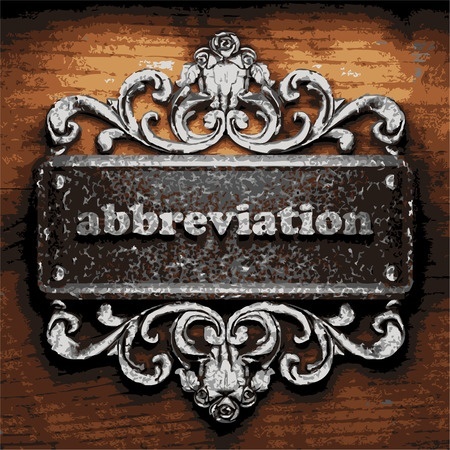 When you are describing foreign money, it usually is shown with an abbreviation or a currency symbol at the front. Well that didn’t increase my coffers any, but now we all know more about writing about money. Please add a comment below or email proofthatblog@gmail.com with your burning questions and we can all learn a little something perhaps we didn’t know. Grammar Giggle – There, Their, They’re . . . Someday They May Get It Right! Comments Off on Grammar Giggle – There, Their, They’re . . . Someday They May Get It Right! This I found on Google. 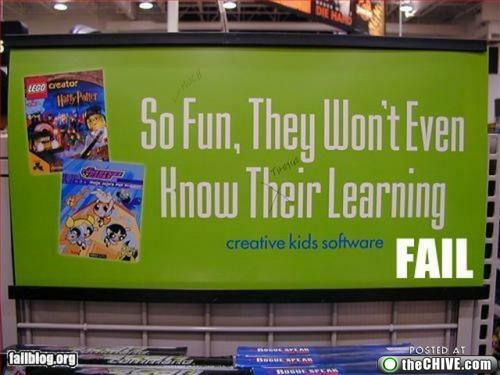 They may learn something, but I’m not sure I’d trust this software to teach them something correctly. This is one error that I see a lot on Facebook that irritates me. It seems that the errors are mostly (but certainly not exclusively) made by young people. It is not a difficult concept. Grammar Giggles – Well This Explains a Lot! Comments Off on Grammar Giggles – Well This Explains a Lot! A reader sent me this one. I don’t even know where to begin to figure out how that error–at least I hope it is an error–was made. I found this on Google and hesitate just a little bit to make it a Grammar Giggle. Obviously English is not their first language, but waitress and waiter are one of those sets of words that already defines gender, like actor and actress, so you shouldn’t add gender and “boy” waitress is just plain confusing. 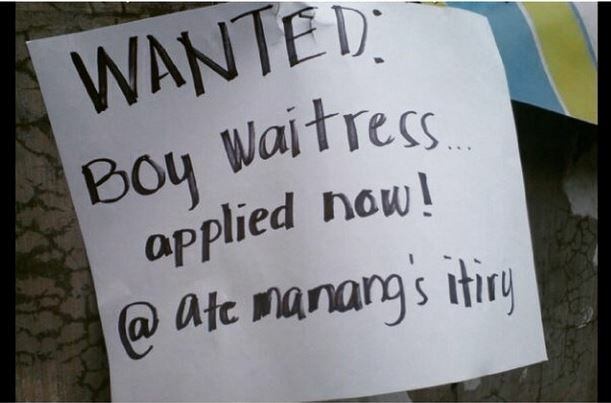 Are they looking for a waitress or a waiter? The other errors in the sign will go unmentioned. Dispensing medicine is a very important profession. And getting the instructions on how to take the medication correct is even more important. 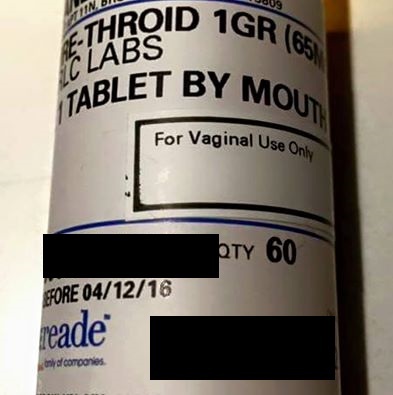 That’s why, when a friend forwarded this medicine bottle label to me, I was a little surprised at the instructions. Look carefully and see if you can see the problem. Grammar Giggle – For Heaven’s Sake, Please Use Tongs! Comments Off on Grammar Giggle – For Heaven’s Sake, Please Use Tongs! I found this gem on Google. Personally I would appreciate it if you keep your THONGS on your feet or, well, elsewhere and use TONGS, but maybe that’s just me.